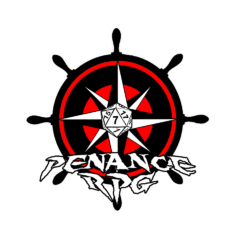 Plus the fantastic crew of Curse of Penance, how Tubbs got into accidental necromancy, Karen’s colourful past and how the lovely Rosie ended up in a prison cart! The brief but well loved characters from several one shot and special episodes. And which players are crazy about Anime, or crazy enough to have 5 episodes already live! *Nobody can answer this. A coherent explanation of Tensho’s thought process may be one of the signs of the apocalypse.